Raffadali, near Agrigento, in the 1920s. The Sacco brothers have risen from abject poverty to a respectable position as farmers owning a few acres of land. They are free men, with Socialist ideas, they respect the state, and have made their own way following the example of their father Luigi, who taught them the importance of hard work and respect for others, and who made his fortune through the art of grafting pistachio trees. Life changes one morning, when the head of the family receives first one anonymous letter, then another, and is the victim of an attempted burglary. Luigi Sacco promptly reports the demands for protection money to the Carabinieri, but they are uncomfortable: nobody in the village has ever dared to denounce the mafia; people prefer to suffer in silence. Henceforth the Sacco family have to defend themselves – against the mafia, against the forces of order, against conniving villagers, against traitors, and against local politicians. They have to contend with attempted murders, trumped-up charges and false testimonies. 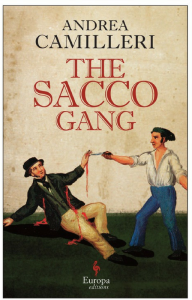 Cold-shouldered by the Carabinieri, who refuse to give them a firearms licence and don’t defend them, the Sacco brothers go into hiding. They defy organized crime, showing a courage and public spirit that are rare for that time, and freeing Raffadali from mafia oppression. Then Mori arrives; the Fascists want to defeat Cosa Nostra whatever the cost, and using whatever means they have to. Why, then, do they hunt down the Sacco family, who, far from being Mafiosi, are victims and sworn enemies of the mafia? To justify Mori’s huge, relentless manhunt, the Sacci brothers are declared to be a mafia gang: their mother, sisters, brothers-in-law, cousins, friends, Socialist former mayors, are all arrested. Then it is the brothers’ turn: surrounded by two hundred Carabinieri, they are wounded, arrested and tortured. ‘Justice will achieve what it wants to achieve’: the Sacco are convicted of four murders. Sentenced to life imprisonment, Vanni, Salvatore and Alfonso are moved from prison to prison, and in some of them make some distinguished acquaintances, including Umberto Terracini and Antonio Gramsci. 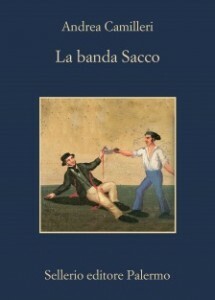 After the fall of Fascism the Sacco brothers are not granted a revision of their trial, and it is only decades later that, at Umberto Terracini’s request, they are accorded a pardon. That happens in 1962.